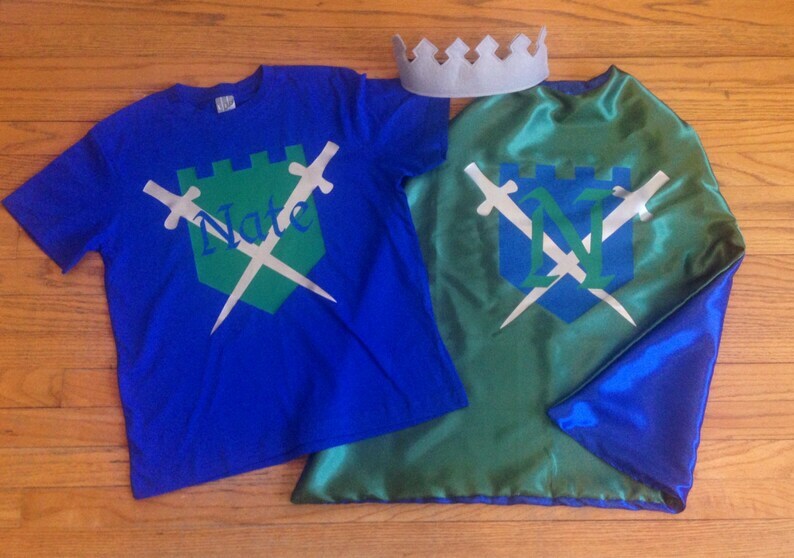 Personalized Knight or King Boys Superhero Cape Ultimate Birthday Set Includes: Cape, T-Shirt and Crown! 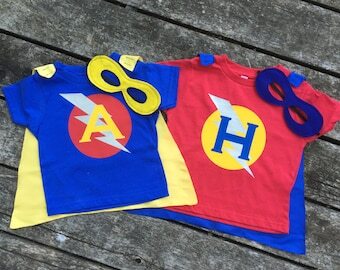 Choose your Colors to Create a One-of-A-Kind Custom Hero Outfit. 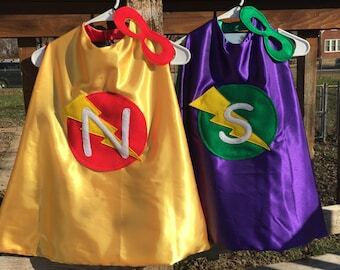 This ultimate superhero set is sure to have your little one saving princesses, slaying dragons, soaring high and saving the day! 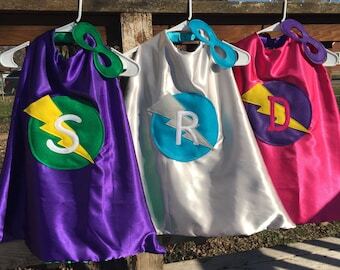 Each cape is double-sided and custom made from 100% machine washable poly-satin. 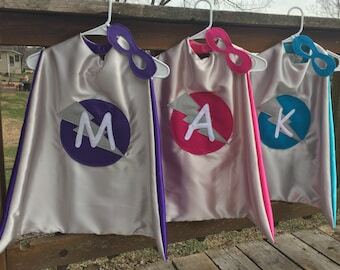 The exterior of the cape features a shield and swords logo with your little hero's name, initial or age (your choice), the interior of the cape is blank in the color of your choice. Velcro attaches/detaches cape at neckline. Custom T-Shirt is 100% cotton. 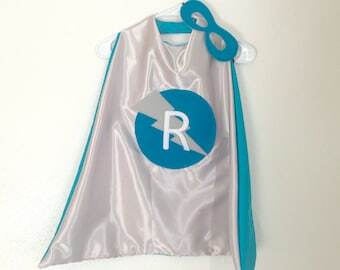 Feel free to design your own color combo, or let us coordinate it with your cape. Felt crown will be coordinating colors from the cape colors/logo you choose. Sturdy elastic is sewn into the sides of the crown to ensure a flexible fit. Made from earth friendly Eco-fi felt, which is made from recycled soda bottles. Hot Pink, Glitter Pink, Purple, Glitter Purple, Silver, Glitter Gold, White, Black, Red, Yellow, Turquoise, Royal Blue, Orange, Green.